“Horrible Bosses 2″ starts Wednesday at Point, Eastgate and Star Cinema. R, 1:48, three stars out of four. Comedy is hard, and comedy sequels are harder. There has to be some element of freshness and surprise to a comedy, yet a sequel by definition has to have a sense of familiarity. Get that balance right, and you’ve got something like “22 Jump Street,” which let the audience in on the whole in-joke of it being a sequel. Get it wrong, and you’ve got something like “The Hangover Part II,” which recreated all the beats of the original to mind-numbing effect. 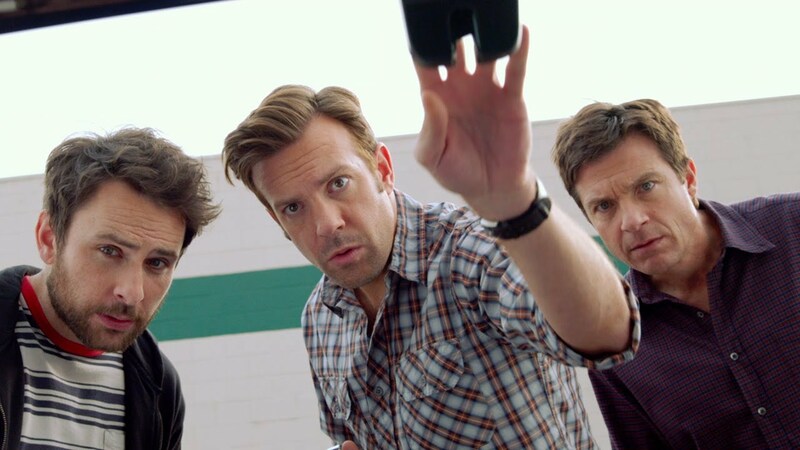 So “Horrible Bosses 2” could have just introduced three new horrible bosses for the hapless Nick (Jason Bateman), Kurt (Jason Sudeikis) and Dale (Charlie Day) to try and kill. Instead, director and co-writer Sean Anders (a DeForest native) and co-writer John Morris takes what worked about the original — mostly, the banter between the three comedians — and spins it off in a direction that is just different enough to be interesting, and clever enough to be really funny. For starters, no bosses, and no murder. Nick, Kurt and Dale have gone into business for themselves, with a new invention called a “Shower Buddy.” They think they’ve made it big when wealthy tycoon Bert Hanson (a purring Christoph Waltz) places a huge order, requiring the boys to sink all of their savings into a factory. Then Waltz cancels the order, reasoning that the company will go bankrupt, and then he can swoop in and buy everything cheap. Desperate, the boys decide to kidnap Waltz’s jerkish son Rex (Chris Pine) and hold him for ransom. Only there’s a twist — Pine loves the idea, and offers to go along with the kidnapping scheme if he can get half the ransom money. In a bit of franchise serendipity, the boys end up crossing paths with several of the characters from the last film, including Jennifer Aniston as a sexually rapacious dentist and Jamie Foxx as the hoodlum with the unprintable name. (Kevin Spacey also returns, literally phoning it in his two scenes, playing Kurt’s old boss, now in prison.) Pine, in a rare comic turn, may be the secret weapon of the casting, playing a hyper-bro rich kid to perfection. The plot is diverting enough, although part of me wonders if this wasn’t an original screenplay that was retrofitted for the “Horrible Bosses” movies. Anders and Morris engineer several big gags, including a rather laborious opening bit involving the Shower Buddy that feels like a holdover from an “Austin Powers” movie. What’s really entertaining about the “Horrible Bosses” movies is the interplay between the three leads, arguing, riffing, their lines tumbling over each others’. Anders seems to know this, and there’s rarely a moment in the movie when the three aren’t together, often crowding the same shot. They seem even more like The Three Stooges this time – Bateman the fussy, responsible Moe, Dale the childlike Curly, Kurt the preeningly dumb Larry (actually, I never really got Larry’s deal). Anders even makes the connection explicit in a very funny scene where the trio accidentally gets high on nitrous oxide and start slapping each other. Why, I oughta . . . The pace of “Horrible Bosses 2” is nimble, the jokes are appropriately filthy and often inspired, and I just couldn’t get enough of hanging with these three comic actors, who are clearly greater than the sum of their parts. A “Horrible Bosses 3” would not be unwelcome — it’s just hard to think of another “funny” crime for them to tackle.